Money for Life is a unique partnership between Lloyds Banking Group and Further Education (FE) sector partners. 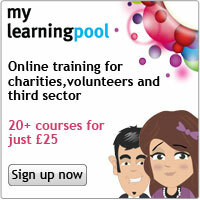 The programme aims to embed vital money management skills in FE sector institutions or community groups across the UK. The programme will facilitate the sharing of good practice and provide training and resources to empower practitioners to equip a generation of learners with the skills they need to better manage their money in order to realise their lifetime goals. In Northern Ireland, Halifax and EGSA are working together to promote and support financial capability. EGSA is committed to the view that the ability of a person to engage in learning and to make career decisions is dependent on a range of self-management skills including digital awareness, health literacy and financial capability. Like literacy and numeracy, financial capability is an essential skill that enables active engagement in every day life – as a consumer, parent or employee. Adults who are considering returning to or continuing in learning must be able to understand the financial implications of their choices and become more capable and confident in their decisions. As the cost of education and other public services will increasingly be borne by individuals, the importance of financial capability increases. Money for Life provides the training resources to enable those interested in financial capability training for FE institutions and community groups to gain one of two accredited qualifications in Adult Financial Capability and Developing Adult Financial Capability. Both qualifications are accredited by the Open College Network in England, Wales and Northern Ireland and by the Scottish Qualifications Authority (sqa) in Scotland. 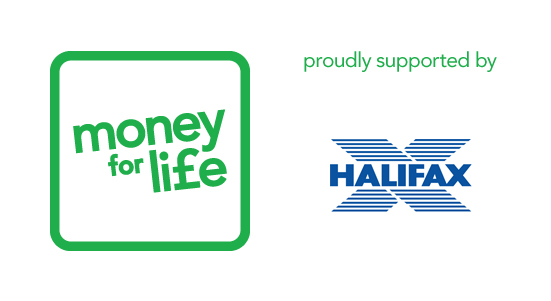 Money for Life aims to deliver vital financial capability learning where it is needed most. It will equip practitioners across the UK with tailored resources to improve their confidence and knowledge of financial capability and enable them to pass that knowledge to FE learners. Find out more about Financial Capability qualifications. Money for Life will identify and address barriers to financial capability learning via a series of focus groups across the UK, which will bring together experts to examine the financial capability needs of distinct learner groups. There will be two focus groups in Northern Ireland. The first, made up of representatives from colleges, community providers and local CAB (Citizens Advice Bureau) offices, will focus on providing sessions for ESOL learners on accessing financial education and benefits. The second focus group is made up of representatives from 5 FE colleges who will work to support Access students by developing a module on student finance and progression to higher education. It is intended that ultimately this will be incorporated within the Access course curriculum. Download the Money for Life Focus Groups Report – “Financial Capability for Adult Learners”. EGSA is involved in a range of projects and partnerships and encourages enquiries from potential project partners. Find out more about Partnerships and Projects. Are learners in Northern Ireland financially fit?